When I was younger I barely know dishes that are made from fish as most of the fish dishes in Philippines are fried and I had limited exposure to fish dishes such as this one. So since then when we dine out the first thing that I will look for would either be a seafood or fish dish so I could learn from what I eat. 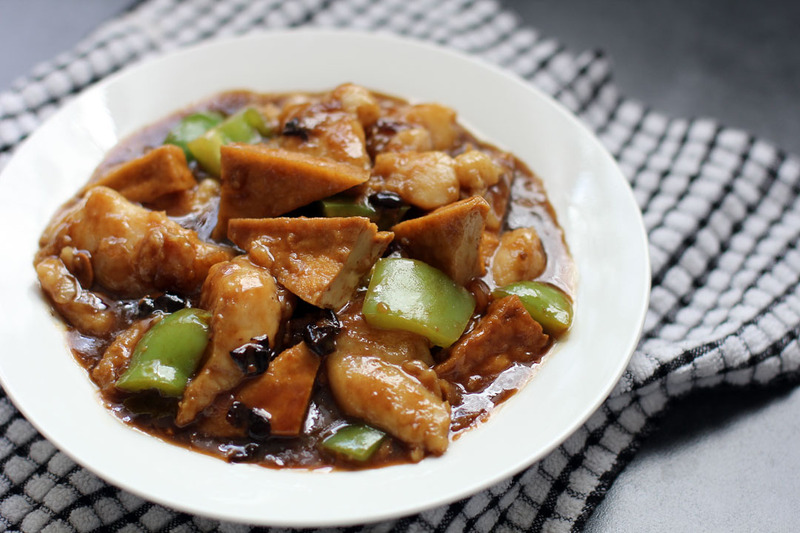 This recipe is one of my favourite fish dishes (yeah I have a lot of favourites), I still remember the first time I tried it in a Chinese restaurant in Malaysia, I really enjoyed it that is why since then I cook them at home once in a while, I like its salty sauce cutting through the delicate flavours of tofu and fish. Truly a very tasty dish yet very nutritious, good for the health conscious! Place cornstarch in a plate then dredge the fish pieces on it until it’s lightly coated. In the same wok where fish is fried sauté garlic, shallot and ginger. Add green capsicum then stir fry for a minute. Then add fish and tofu. Add water, black bean sauce, soy sauce, sugar and black beans bring to a boil, turn fish once and simmer for 5 minutes until the sauce becomes thick. If the sauce is thin you can add a bit of cornstarch slurry to thicken it. Wow Raymund, I have not had this kind of dish for a while…looks delicious…and I love blackbean. I just need a big bowl of rice to go with all the sauce…yum! Gorgeous photo! I love anything (swimming) in black bean sauce. 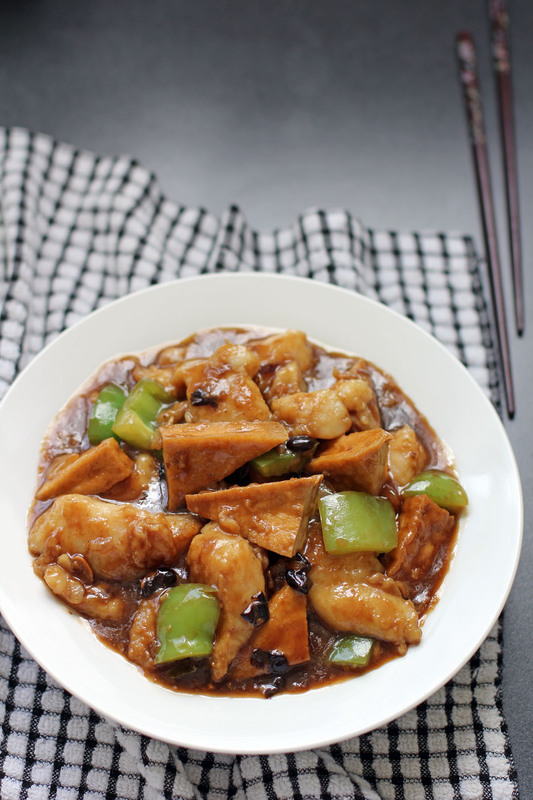 my mom used to prepare this kind of deep fried in black bean sauce with cheaper fresh water fish…. I really do love those black beans. And anything with fish is a keeper. Yum! My son LOVES tofu with this sauce. I’m actually about to go downstairs and heat up the leftover dish from our favorite Chinese restaurant… the dish doesn’t include fish, but good to know we can add. He’s crazy about the dish that he orders every single visit… Thank you for the recipe. I’ll try with the fish! What do you do with the shallots? Do you minced or sliced the shallots? IT will be minced, updated the recipe to reflect. The instructions say add sugar but doesn’t say how much, does anybody know how much to add? Apologies for the late reply, just came from a holiday and just read this one. Anyways I adjusted the recipe to reflect the quantity. Thanks for your support! Do you crush the salted black bean or leave it whole? What kind of soy sauce do you use?